As in the chapter on Physical security, the people problem is often over-looked, not only by technical personnel, but by everyone. For a proficient social engineer (SE), it is easy to craft and execute attacks, although not quite as easy and simple as walking through the front door that has been left open. With a little patience, practise, and the right frame of mind, the majority of people can be played successfully, even those who are very aware. As with many other attacks, this is often one that is a key component of a larger more sophisticated attack. Many of the assets are the same as those in other chapters, it is more that people present a huge opportunity for exploitation. Risks based on the failures of people represent a very different set of attack vectors than any others mentioned in this material. People are both complex and complicated; our personalities are full of faults just waiting to be exploited, thus the approach at finding vulnerabilities is quite different. You can still use some of the processes from the top level 2. SSM Identify Risks, but outcomes can look quite different. I find the Threat agents cloud and Likelihood and impact diagrams still quite useful, as well as MS 5. Document the Threats, OWASP Risk Rating Methodology and the intel-threat-agent-library, as they are technology agnostic. Additionally, OWASP Ranking of Threats, MS 6. Rate the Threats, and DREAD can be useful. People are the strongest point in a security process, they are often also the weakest. While working as a contract software engineer on many teams, I often struggle to move past the fact that most developers are oblivious to the amount of insecurities they simply don’t consider. Usually, after explaining the situation and importance of the vulnerability with them, they begin to understand it, but it is still an ongoing battle to ensure that they continually consider the importance of their decisions in creating secure systems. The fact that people responsible for creating our software have a more distorted perception than actual software consumers is truly concerning. The Arxan 5th Annual State of Application Security Report Perception vs. Reality highlights this. Studies show that motivation has a larger effect on productivity and quality than any other factor. Managers who do not lead from the front and walk the talk perpetuate this. I once worked on a team many years ago that was responsible for delivering a large project for one of the world’s largest courier companies. This included architecting and implementing a mobile software solution allowing well over 100,000 couriers to execute pick-ups and deliveries using our software to manage it all. This was before mobile devices were common place. The team was told that they would be rewarded for working many overtime hours to get this project deployed on time. As a team of mostly young software engineers, we accepted the challenge and we delivered what the client needed on time. The team members that did most of the over-time hours were rewarded with approximately an extra 50c per hour. Enough said? What can we do to make this project go faster? Throwing more engineers at a problem usually makes it worse. The only definite way to get something built faster is to build something smaller. You can build it faster, but at least one aspect will suffer. For starters, it will almost certainly be quality. Noise everywhere kills deep thought and concentration and removes the ability to concentrate. A loss of quality will be one of the main disadvantages. Actual content is only 7% of any communication. The rest is voice, tone, body language and context. It takes much longer to craft emails than to just open your mouth or to engage in just about any other form of communication. Gerald Weinberg’s rule that 20% of our time is lost every time we perform a context switch. I have spent time with administrative staff who do not understand how much context switching effects all people’s effectiveness at performing any task. This is even more apparent in deeply technical workers. Each task we try and complete in parallel negatively impacts the other tasks we are working on. The more tasks we juggle, the less processing power we have for each one. A very profitable tactic for an adversary is to acquire a staff member from a target organisation, perhaps a competing organisation. How long the staff member has worked for the target, their skills, motivations, and other positive attributes, will determine how much of a gold mine they are. Why bother doing something illegal when you can just offer the staff member a better deal than their current package? There are a plethora of large password word-lists available. I discussed a handful of these in the Tooling Set-up chapter. An attacker will use password profiling to create short lists of words based on information gathered in the reconnaissance stage. These word-lists are typically much shorter than the “off the shelf” word-lists sometimes used for brute forcing targets accounts. If running any of the following tools produces a list with your password in it, I strongly suggest you review the Countermeasures section to learn about strong passwords. Word-list generators are used to create short more precise and targeted word-lists. It is important here to understand organisational password policies and constrain the tool that you use to produce a word-list that honours any password policies in place in the target organisation. Otherwise the tool will end up producing passwords not relevant to the target. Crunch seems a little lower level or granular, perhaps less personalised than the likes of cupp which we discuss soon. Crunch often creates larger word-lists. Of course, this depends on how you specify your arguments for crunch. The likes of wild-cards can help with granularity. Crunch would probably be a good choice if you know more about organisational password policies and less about the individual people/person. Crunch generates every possible combination of characters you tell it to and provides control over the character sets you want used. There is a collection of character sets in Kali Linux in /usr/share/rainbowcrack/charset.txt you can use. The best one is in the crunch directory though: /usr/share/crunch/charset.lst You can also specify a literal set of characters as an argument. The @ wildcard can be used to represent lowercase characters in the pattern you supply. For example specifying a pattern such as -t @@@@@hithere would inform crunch to create words up to 12 characters long, five of which were variable lower case, and the seven represented by hithere that would always be the same. The rest of the wildcards can be seen in the man page. A minimum and maximum length has to be specified. If your minimum and maximum do not match the length of your optional pattern exactly, crunch will provide direction as to what it expects. If you do not provide the output -o </location/of/crunch/output> option, output will go to screen. When you run crunch it also informs you of the size of the output in MB, GB, TB and PB. Crunch will also print out how many lines it is going to write as it starts, great for avoiding a personal denial-of-service of your file system. Created by Muris Kurgas AKA j0rgan, this tool is easy to use and can be used in an interactive style. With the -i parameter, it interviews the person running it before it goes ahead and creates the word-list output. We installed this in the Tooling Setup chapter. Once you have git cloned it, check the source to confirm what you are about to run, then run it. I like to use interactive mode with -i. Run it with no arguments to see the help screen and cd into /opt/cupp/ to explore. Also, have a look through the config file prior to running, and change any settings you want to fine tune. It is a straight forward process. Under the [leet] section you can remove any characters or add additional ones. For example you could add [email protected] as well as a=^. There are a number of other options to customise the output. [+] Saving dictionary to bob.txt, counting 31546 words. [+] Now load your pistolero with bob.txt and shoot! Good luck! I have found CeWL to be quite useful for creating targeted word-lists scraped from your target’s website. cewl -h # for um... help. All the options. # If you go deep, it can take a very long time. You can use the word-list produced and augment it with the likes of crunch to add some common extra characters, or even cupp to make the passwords a bit more personal. Wordhound is a Python application that creates word-lists based on generic websites, plain text (emails for example), Twitter, PDFs and Reddit sub-reddits. I discovered this tool in the Hacker Playbook 2. It looks like Kim had some trouble with it in Kali Linux but it does look like it has potential. I did not have the time to try it. The following brute force attempts were against the Damn Vulnerable Web App (DVWA) in the OWASPBWA suite running at IP 192.168.56.22. When it comes to brute forcing web applications, I noticed the failed attempts always took longer than successful attempts. This is due to the fact that the failure text you tell the tool to look for is found sometime before the tool has read everything in the response, as it would with a successful response. There are so many web servers and web applications, and they all utilise login procedures differently. I found it best to use an HTTP intercepting proxy (Iceweasel Tamper Data plug-in or better Burpsuite) and try several incorrect passwords then inspect the responses of each. I followed this with a known correct user and password and inspected the response. Often there are several requests that occur before a successful login (a POST followed by a GET in the case of DVWA). I was wondering how the brute forcing tool would know how to combine the requests and responses for an unsuccessful and/or successful login attempt. The answer is, they don’t. What I found though, was that there is usually a difference in the first response of the incorrect passwords to the first response of the correct password. For example, the incorrect responses may redirect the user back to the login.php page where as the correct response may redirect the user to an index.php page or similar. In this situation, you instruct the tool that a login.php represents an unsuccessful attempt and it will go looking for that string. Often with HTTP brute forcing you will have to slow the requests down. Most tools provide options for that. Hydra appears to be the most mature of the brute force specific tools. # Otherwise, specify the port with -s.
# Add verbosity with -v.
# Use -L for a username wordlist file if you want to try many usernames. # -p allows for a password to be typed in directly. # -l can also be used with a file of usernames. You can find the video of how the following attack is played out at http://youtu.be/zevpMvQwWOU. When it comes to using hydra against web forms, if you can, once you have the command set and ready to run, it is usually best to test it against the web site with a known good login to make sure hydra handles the success correctly and the failures correctly. Type of form. Listed in the man page. Failure message for a failed attempt. The only place you need to look is the response of the first request. It seems that any string in the response can be used, even if it is a redirect back to login.php, any header value, body value, or even header name. Alternatively You could use a success message for a successful attempt, cookie or what ever the web site uses to inform of a successful login. For this example, we need to add Bob the Builder, as profiled in the CUPP example above, to the DVWA database. I knew that the passwords in the DVWA database were stored as MD5s from the exercise I did in the SQLi section from the Web Applications chapter in Fascicle 1. If DVWA had assumed that the data-store would at some stage be compromised as discussed in the Data-store Compromise section, and provided the correct countermeasures as discussed in the countermeasures section of the Web Applications chapter in Fascicle 1, we would not be able to reverse engineer the crypto strategy as easily. The time it takes to brute force the passwords would also be significantly increased due to the key stretching of the Key Derivation Functions (KDFs). With that in mind though, if you profile effectively you will end up with a small word-list to use in your chosen brute force tool, which may only take a few hours or days for the average user’s password. For the sake of demonstration, I chose a password from the middle of the word-list that CUPP produced: [email protected]. Bob thought he was being clever changing the characters of “yes we can” to look like numbers and adding some special characters to the end. Hackers know all the tricks though. Using an HTTP intercepting proxy as mentioned above, let’s use Burpsuite and FoxyProxy. Once you have DVWA running, or another website you want to attempt to brute force, browse to the login page. Then turn the “Burp 8080” proxy on. Start burpsuite and make sure it is listening on port 8080 (or what ever your browsers proxy is going to send to). I added a correct username (“user” in this case) but false password values to the username and password fields and submitted. Note that you can add any values. 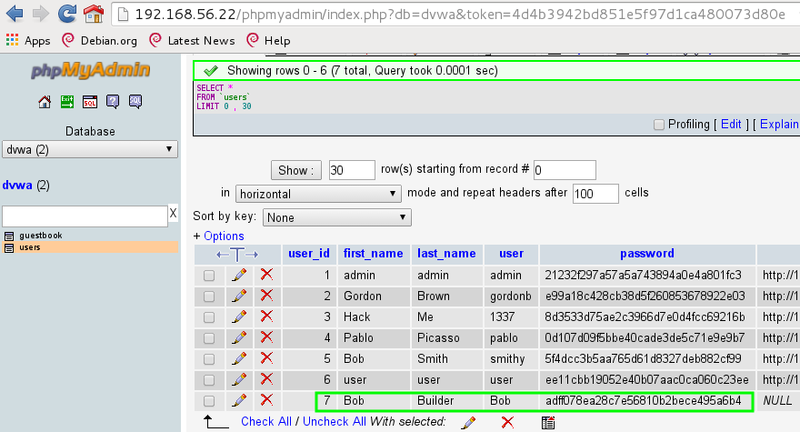 Now in Burpsuites Proxy tab -> HTTP history tab, right click on the (POST) request and select Send to Intruder. Go to the Intruder tab and in the Positions tab, keep the Attack type: “Sniper” because we are only using one wordlist. If we were using a wordlist for usernames and a different one for passwords, we would probably want to use “Cluster bomb”. Now clear all the highlighted fields apart from the password value, then go to the Payloads tab. Keep the Payload set to 1 and Payload type set to Simple list. I just added user1, user2, user3 and user, the last being the correct password. It can pay to have a valid account to test with, especially with HTTP. You do not need FoxyProxy on any more either. Go into the Intruder menu up the top -> Start attack. You will now get a pop up window with the results of the passwords you added. With the Response tab and Raw tab selected, start at the top of the requests and just arrow down through them, inspecting the differences as you go. You should see that the last one, the user password, has one changed value from the other responses. It will have a Location header with value of index.php rather than login.php that all the failed responses contain. That is our difference that we use to feed to our brute forcing tool so that it knows when we have a successful login, even though, in theory, the login process is not yet complete as we have not issued the follow up GET request. This does not matter, as we know we would not have been given an index.php if we were not authorised. Every web application will do something a bit different. You just need to look for the difference in response from a bad password to a good one and use that to feed to your brute forcing tool. From that we build our command. ^USER^ instructs hydra to use the login (-l) text or path to file if the upper case -L is used. ^PASS^ instructs hydra to use the password wordlist we provide it with with the -P option. # Take the output from CUPP from above, which created a 31546 word wordlist. # This is a small snippet of our word list for our initial test. Y35w3c4n! [email protected] # Correct password. # Now lets run our brute force. # Can write attempts to a file with -o <file path>. organizations, or for illegal purposes. Instead of telling hydra what to look for in a failed attempt (Login=Login:login.php in our case) we can tell hydra what to look for in a successful attempt with something like the following. Hydra has many other options. There is plenty of good documentation out there, along with a decent man page. I did not have success with Medusa for brute forcing HTTP. Medusa was created due to the fact that the author was having some strife with Hydra. USER-AGENT:? User-agent value. Default: "I'm not Mozilla, I'm Ming Mong". FORM:? Target form to request. Default: "/"
The username field must be the first, followed by the password field. # Using our wordlist generated from CUPP from above. I also tried with only the correct password. Medusa unfortunately was not handling the redirects properly, the result was an HTTP 302. I think the following may also have suffered from Medusa’s redirect problem. I have since found a few changes to this script which may have fixed it, although I have not re-tested. The following command just took too long to complete, it may have bogged down on the redirect, I’m not quite sure. I address the compromise of password hashes in the Web Applications chapter of Fascicle 1 under the section “Management of Application Secrets”. Vishing (voice based phishing, usually phone calls) is amongst the most common of SE attacks. Here an attacker will call their target and elicit sensitive information about the organisation that will be useful to launch further attacks. With a little practice vishing can become reasonably easy to pull off and with minimal risk. Additionally, the social engineer (SE) can practise, practise, practise until they get the results they are looking for. If at first they do not succeed, then they can simply hangup and try again in a few days. with each attempt improving on what did not work the last time. The same government that imprisoned Kevin Mitnick for nearly five years, later sought his advice about how to keep its own networks safe from intruders. Penetrating an organisation using vishing is one of the most common tactics, given the fact that it is very often successful; minimal skills are required and the risk is low. If an attacker is struggling to penetrate an organisation’s technical defences, typically switching to vishing will yield a positive result for the attacker. This tactic includes arranging an impersonated identification (name or number) to be displayed on the receiving end of a phone that is receiving calls or SMS. Telephony providers do not perform authentication on whether the caller Id is valid or spoofed. To disambiguate, this is the Caller ID and not the caller number. Some services are free, some are paid for. SMS providers offering spoofing capabilities seem to come and go, as they get shut-down regularly. You can DIY with the likes of Asterisk, an open source framework that provides all the tools anyone would need to spoof Caller IDs and much more. You will need a VoIP service provider, but you control everything else, and all of the information about your target is in your hands alone. If you are planning a phone call, you are going to have to have a pretty solid idea of who your pretext is and know as much as possible about them in order to make your pretext believable. This is where you really draw from the reconnaissance phase as seen in the Processes and Practises chapter. It is a good idea to script out the points you (SE) want to cover in your phone call. Rehearse the points many times so that they sound natural. The more you practise, the easier it will be when you have to deviate (the target will often throw curve balls at you) from your points and come back to them. There is no substitute for having as much information as possible on the target and have rehearsed the call many times. SMS spoofing can also be very useful. Some services cannot handle return messages though, unless the attacker has physical access to a phone that would legitimately contact the target’s phone (as with flexispy) and can install software on the initiating phone which the attacker controls. SMS spoofing was removed from the SE toolkit in version 6.0 due to lack of maintenance. This is likely because it is getting harder to successfully execute due to telecommunication providers clamping down. It’s still in the SET in Backtrack though. SMiShing attacks are on the rise. They are low cost and low risk and often play a part in a SE attack. How this works: An attacker (pretexter) calls someone at the target organisation, often an employee, then explains to them that something has just happened that will stop them from doing their work, ideally something that the victim can not immediately verify. The attacker suggests that they may be able to fix the problem for the employee, but it will be a big favour. The victim agrees and is very appreciative. Once the attacker has pretended to fix the employee’s issue, they get the victim to confirm that it is now working (of course it always was working). The victim confirms it is now working and is very appreciative. Now the victim essentially owes the attacker a favour. The attacker can use this favour immediately or often more effectively the next day as the next day seems more genuine. New employees will not intuitively know a lot of people in the organisation yet. They will not yet understand the hierarchical relationships and processes. They will not be aware of the security policies and culture in force. They will be as keen as can be to make good impressions with everyone they relate with. An excellent way of gaining additional trust is to fix a problem that does not exist. Lead the victim to believe that there is a problem that will stop them from getting their work done in some way. Request a little information. Fix the problem that never existed. The victim then verifies that there is no longer a problem. Request additional sensitive information, using the fact that you just did the victim a favour to elicit what you are after. Grab your self a cleaners uniform and you have access to just about everything within an organisation. It really is that simple. Often, when my wife was doing commercial cleaning, she would walk into a room at 20:00 - 21:00 with a few developers still working away. They would sometimes be surprised because they had not been told that the cleaners were coming, let alone, who they were. The response would usually be something along the lines of “Oh, it is just the cleaners”. Why? Because they had their free pass… a cleaners uniform, and maybe a broom, vacuum cleaner, or mop. I have always found it interesting listening to and/or watching certain classes of people, how they talk, their lingo, slang, what they wear, how they stand, etc. As an attacker it is a very useful tool to emulate the target subtly. This creates a subconscious rapport between the two people. In general, people are attracted to people who have similar attributes. In learning how a target does things, then subtly emulating them, a powerful tool is leveraged. This has the effect of subconsciously drawing the target into a relationship with the attacker, or at least making it easier to draw them in. Subtlety is the key. In doing this, an attacker can more easily obtain their trust. Following are some effective means of gaining physical access to workplace premises. Phishing includes emails sent with enticing email subjects, file names, etc., in the form of web links and files that when clicked deliver a malicious payload. This type of attack is the most common of all SE attacks. This includes spear phishing. Also check out the Infectious Media section in this chapter. Cast a wide net in the hope that a number of recipients will fall for the scam. This attack takes advantage of the large number of recipients who will likely fall for the scam. Generally, the percentage of victims will be much lower than if a spear phishing attack as the email will be more general in an attempt to reach a broader target selection. Like large commercial fishing enterprises, this type of attack is very common and executed on large scale in many instances at a time. This type of attack is also usually a lot easier to detect, because the attackers have to be more general in their approach, and they rely less on detailed information gathering about their victims when crafting the attack than if it was more targeted. The outcome on average is also usually less dramatic. Yes, the odd victim will be fooled. This type of attack is a numbers game. For example 100 people may be fooled when a 50’000 email campaign is crafted and sent. SET has many options to help with this type of attack. They are all covered at the social-engineer.org website. SET can use sendmail, gmail, or your own open-mail relay out of the box to perform your attacks. Tools such as phishlulz which leverages phishing-frenzy and BeEF can be very effective at demonstrating how easily people will fall for a phish, and/or performing reconnaissance and even gaining a foot-hold on your targets network. This type of attack is targeted toward a smaller number of recipients, typically with more specifically tailored scams. In order to pull a successful attack off, specifically, one that has a high catch rate and where no recipients actually raise alarm bells with managers, scrupulous reconnaissance needs to be carried out on your target(s). With all the OSInt freely available on social media sites and many other vectors, an attacker can usually find enough information to craft very legitimate looking and enticing emails that a recipient will either follow a link to a malicious website that looks legitimate, or download and execute a malicious payload. The following attack was one of five that I demonstrated at WDCNZ in 2015. There was an attack leading up to this one which focused on exploiting a Cross-Site Scripting (XSS) vulnerable website with the Browser Exploitation Framework (BeEF). This can be found in the Web Applications chapter of Fascicle 1 under the Cross-Site Scripting (XSS) section. You can find the video of how this attack plays out here. Clone a website that we know our victim visits and has to login at. Host the clone from our attack machine, although this could be hosted anywhere and would be more effective in avoiding detection if hosted on one of the free VPSs on the Internet. Use the Credential Harvester from SET in Kali Linux. This uses the HTML referer header, in which it intercepts the request that comes from the victims IP address and harvests the posted credential fields. In the Cross-Site Scripting (XSS) section of the Web Applications chapter in Fascicle 1 we demonstrate a similar attack on a XSS vulnerable website that has been hooked with BeEF, where we use BeEFs “Pretty Theft” module to harvest the victims credentials when they log in to the website. SE our victim to our cloned website. Once the victim enters their credentials and submits, SET harvests the credentials. They are redirected to the original website to make it look less conspicuous, much like a failed login. Legitimising the URL is covered in the ARP and DNS spoofing sections of the Network chapter in Fascicle 1. Clear out the public web directory (/var/www/) on your Kali Linux machine. If you do not, SET will archive what is already in there. Enter the IP address that SET listens on to capture the key log. In this case it will be your local IP address. SET now hosts cloned and php files in the apache web dir /var/www/ and starts apache if it’s not already running. We now see the cloned artifacts and the key log file harvester_<yyyy-mm-dd HH:mm:ss.n>.txt in /var/www/, which will be empty initially. 4) redirects to the real accounts.google.com. Have a look in the /var/www/harvester_<yyyy-mm-dd HH:mm:ss.n>.txt file, you will find the target’s credentials. SET provides the ability to craft emails with a spoofed from address. You need only to install and configure sendmail. As you can see below, SET also has a few other options for helping an attacker craft spear-phishing attacks. payload and use it in your own attack. Either way, good luck and enjoy! SET has an Infectious Media Generator allowing the SET user to create a Metasploit-based payload with an autorun.inf file that, once put on the USB stick or optical media, will run the chosen payload automatically upon insertion. Quite a few file formats are supported to cloak the payload, such as PDF, Word documents, and many others. Just about any type of payload an attacker can dream up can be used. The Teensy USB device as a penetration testing device overcomes running payloads on the target machine the same way a keyboard or Rubber Ducky would. Because it is a Human Interface Device (HID) it is trusted by most OSs. It can be concealed in any type of USB hardware. That alone creates a huge vector for exploitation. The Teensy has similar specifications to the Rubber Ducky but is about half the price. It is just a development board though, and has to be programmed via an Arduino. SET provides the reverse shells, listeners, and a good selection of exploits out of the box. Metasploit is at your disposal as usual with SET and attack vectors such as PowerShell, wscript, and others are available. The USB standard has a HID specification, which means that any USB device masquerading as a keyboard will be automatically accepted by most OSs. The main Duckyscript Encoder is a Java application that converts the ducky script files into hex code. You can load them on your micro SD card, insert the card into the ducky and SE your ducky into your target’s computer. The encoder can be downloaded from the hak5darren github accounts USB-Rubber-Ducky repository Downloads page on the wiki. The source code for the encoder and firmware are in the same repository, although the official encoder only supports US keyboards. If you need additional keyboard support you are going to have to use the encoder.jar from the midnitesnake github accounts usb-rubber-ducky repository Encoder folder. If and when you need to re-flash ducky, you can find the directions on the same wiki under the Flashing-ducky page. I found that the official encoder didn’t actually work for me. It created a different binary than that of the online encoder and the midnitesnake encoder, which both created correct binaries. I discovered this problem using the midnitesnake decode perl script against the binary generated by the official hak5darren encoder, and then the online and midnitesnake encoders. W o r l d ! ! ! Before we go any further, the community-provided source and artefacts seem to work better (from an attackers perspective). Make sure that when you are testing your malware you do so in a lab environment before doing so in the target’s environment. BadUSB demonstrated by Karsten Nohl and Jakob Lell at Black Hat, Las Vegas in 2014, involves a USB stick that can act as three separate devices. Mass storage, hidden storage (contains a small Linux system), HID (active when target host boots). When this device is plugged in to a running computer, the mass storage drive is mounted. When the target computer is rebooted, the USB device detects the BIOS, the hidden storage is activated and the HID instructs the BIOS to boot from the usually hidden storage containing the Linux system. The now running Linux system infects the hosts boot-loader. The first step to overcoming ignorance is to understand reality. The Identify Risks sections throughout the book provide us with reality. On top of that, drawing again from The Arxan 5th Annual State of Application Security Report Perception vs. Reality, “126 of the most popular mobile health and finance apps from USA, UK, Germany and Japan were tested for security vulnerabilities” 90% of them were vulnerable to at least two of the OWASP Mobile top 10 Risks. Another interesting (but sadly not surprising) observation, is that “50% of organisations allocate no budget for mobile app security”. This is probably why almost half of app consumers rightly believe that their apps will be hacked within the next six months. Developers, you are probably reading this book because you understand the situation to a degree. It is our responsibility to reach out to our peers and execs, help them understand the situation, and lead them to solutions. It was also noted in the Arxan report that 80% of consumers would change providers if they knew about the vulnerabilities and had a better option. 90% of the app execs (the creators) also believed that consumers would switch if they knew, and better offerings were available. With this information, we should be using good security as a marketing advantage. If you are an upper level manager, I will be blunt: do not screw your workers. It may sound obvious, but I still see it happening in many organisations. Software engineers are smart people who have paid a price to get into the field they work in. They are self motivated. Product Owners (POs) or managers have a strong influence on how motivated they remain. If POs or managers are smart, they will do everything in their power to feed the engineer’s appetite to excel. Throwing more engineers at a problem usually makes it worse. The only definite way to get something built faster is to build a smaller thing. The best way to detect whether this is or going to be a problem is to simply ask the developers. If they are professionals, they will give you an honest answer, and there is a high chance they will know more than anyone else. Allow your developers to create a space that they love working in. When I work from home, my days are far more productive than when I am working for a company that insists on cramming as many workers around you into as small and often noisy space. I can concentrate a lot longer, thus my work has better design and less defects. This probably would not be the case if I was at home working with screaming kids. Developers know how to increase their own productivity. Let them. I documented a collection of tools and techniques to increase software developer productivity on my blog. Also, do not forget that there are many live collaborative drawing, documenting, and coding tools available now. These can actually make work-flow far more effective than being in the same room as co-workers and having to work on one set of screens, as you can both work form your own workstations on the same work. 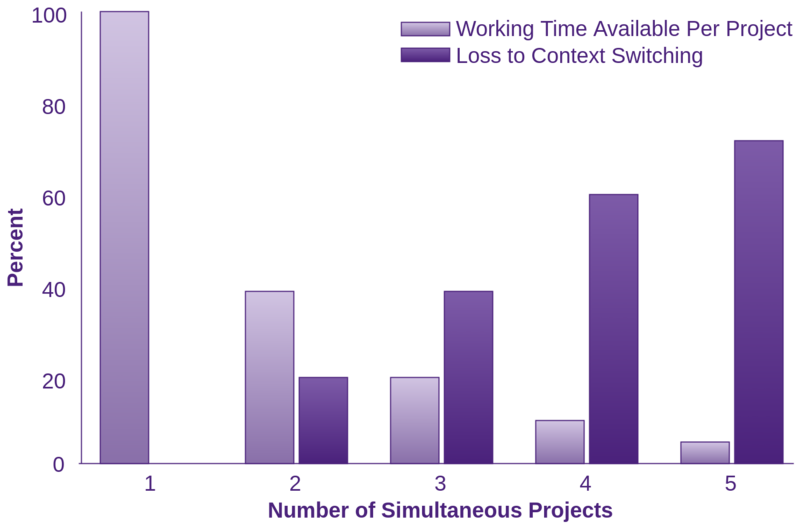 Find out when the most productive times are for developers and let them own that time. Often developers work late because it is the only time they are not interrupted and they have quiet time to concentrate. If you are a Product Owner or manager, make sure your developers have plenty of uninterrupted time to work their magic. Schedule meetings in the least productive part of the day. It may sound obvious, but ask developers when this is. A manager’s role is to facilitate for the developers and get out of their way. Let them manage themselves and the projects they work on. This is where professional developers will shine. If they feel like they are being pulled into too many meetings and their productivity is suffering, they will speak up. Just be aware that many developers may not speak up though. Simply, do not do it. This is a real productivity killer. This is also hard. You need to be aware of how much productivity is killed with each switch, then do everything in your power to make sure that the Development Team is sheltered from as much as possible. There are many ways to do this. For starters, you are going to need as much visibility as possible into how much this is currently happening. Track adhoc requests, and any other interruptions that steal the developer’s concentration. In a previous Scrum Team for which I was Scrum Master, the Development Team decided to include another metric in the burn down chart that was on the middle of the wall, clearly visible to all. Every time one of the developers was interrupted during a Sprint, they would record this time, the reason, and who interrupted them, on the burn down chart. The Scrum Team would then address this during the Retrospective and empirically address why this happened, and work out how to stop it happening every Sprint. 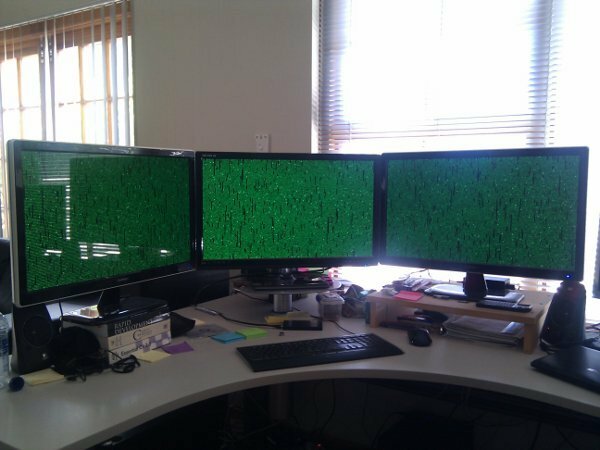 Jeff Atwood has an informative post on why and how context-switching/multitasking kills productivity. Be sure to check it out. Combative staff snatching can be attributed to the countermeasures of Morale, Productivity and Engagement Killers. There are many reasons to perform exit interviews, but we are just focussing on security here. An exit interview should be carried out for every person leaving an organisation, ideally as soon as possible after notice has been given. The intent is to extract as much of the intellectual property (IP) that they have acquired while working for the organisation and remove all privileges that are no longer necessary for them to perform their role. These include accounts and access for domains, databases, physical access, access points, email, cloud applications/storage, etc. There is a lot to consider here. Pay attention to knowledge transfer, especially the knowledge specific to the person leaving. This is always going to be hard. Even if the person leaving wants to pass on their knowledge, there is so much of it that has been acquired during their time working for an organisation that they won’t think of everything. There is usually minimal incentive for an employee or contractor to make sure they pass on as much as possible, and the interviewer is not going to know if pieces are missed. It is usually a good idea to have a comprehensive check-list of what must be relinquished to make sure as much as possible is covered. Exit interviews are also an excellent opportunity to get feedback about what the organisation could be doing better. Don’t miss this opportunity. The organisation needs to make peace with the departing worker. Get on their good side if not already. This can help to short circuit possible malicious activity once the worker has left. It also shows existing workers that the organisation is open enough to receive, and hopefully act on, any useful feedback. You may note more direct honesty with a departing worker than existing staff. Defeating compromise is actually very simple, but few follow the guidelines. Those who don’t are being exploited now or in the future, whether they are aware of it or not. Most identity management solutions (ASP.NET Identity for example) do nothing for detection, prevention or notification. MembershipReboot keeps track of the number of failed login attempts (default five) and notes the time of the last failed login, then locks the user out of their account if five failed attempts have been made within the lockout duration (default of five minutes), even if correct credentials are used during the lockout period. MembershipReboot also raises events via an event bus architecture that your application can listen to and take further action on. Adding a second factor for authentication can help, but this too can be brute forced if implemented incorrectly. There should be a short window of opportunity to enter the out of band code into the input field. In MembershipReboot, this is implemented by a configurable short-lived authentication cookie which by default expires after five minutes. MembershipReboot uses the same tracking mechanism for the second factor as it does for entering passwords, so by default, the user has five attempts to enter the correct code before they are locked out. So the user is allowed five attempts or five minutes, which ever occurs first. This sort of implementation of two factor authentication goes a long way to mitigating brute force attacks. Even the most technically and security focused people can be compromised. Focus on the low hanging fruit. SE attacks via phone calls is definitely amongst the lowest. Using the output from the various risk rating and ranking of threats from 2 SSM Identify Risks will help you realise this. Make sure that the people being trusted are trustworthy. Test them. Most attacks target trusted people because they have something of value. Make sure the amount of value they have access to is in proportion to how trustworthy they actually are. Do not assume. Educate, train, and test employees. Make sure they are well compensated. Do what ever it takes to keep their levels of passion and engagement high. People with these qualities will be far more likely to succeed in recognising and warding off attacks. It can be helpful to develop simple scripts or process flow charts for employees to check when receiving calls. As an example, request the caller’s employee ID number and name and do not answer any further questions until it’s acquired. Some queries such as those for passwords or other sensitive data requests should never be complied with. Any queries outside of what the employee is allowed to answer should be referred to the supervisor. Just having these sorts of process flows documented provides assurance and confidence to the employees taking the calls. Creating policy that ensures call recipients request and obtain the caller’s name, organisation, title and phone number to call them back will often scare off an attacker. Well prepared attackers will have a call back phone number, so the call receiver will need to be prepared to verify that the supplied number does in fact belong to the claimed organisation. Michael Bazzell has an excellent collection of tools to assist with validating phone numbers under the “Telephone Numbers” heading at his website inteltechniques.com. Michael also has a simple tool again under “Telephone Number”, which leverages a collection of phone number search API’s. Do not rely on Caller ID. It isn’t trustworthy. I am not aware of any way to successfully detect Caller ID spoofing before the call is answered. With SMS, the first line of detection is to respond to the number that was spoofed confirming any information in the initial message. This will rule out many services. Failing that, confirmation by calling the sender and recognising their voice, will go a long way. The next line of defence would be to contact them via some other means such as email, but face to face is always going to be the best. Work you way through the list of communication techniques from the Email section above. Avoid putting your cell phone number in public places, although this can often be impractical, as these numbers are on business cards, included in signs on vehicles, company websites, and many other places. Verify that the number the SMS came from is from who you think it is or is the legitimate entity you may be led to thinking it is. As with the Spoofing Caller ID section above, verify with the claimed entity that the requesting details are legitimate, ideally by calling them and recognising their voice, preferrably from a different device or medium, but even better face to face. If the message appears urgent and plays on the fact that the target may be negatively affected if they do not respond as requested immediately, many people will feel compelled to believe it, rather than to confirm as mentioned. Carry out simulated attacks on the trainees. When they fall for the SMiSh, use the mistake as a learning opportunity by following up with immediate educational feedback. If it is a link embedded in a SMS message, make sure the URL leads to a training page, informing the trainee that they have been tricked, and provide educational information about awareness of this type of attack. You can also have the message direct a user to some other type of action that if performed will lead to the realisation that they’ve been tricked and provide them the same educational information. Services such that Wombatsecurity, LUCY and others provide and automate the above training techniques. If someone you do not know does you a favour, then asks you for a favour there is a high chance that you are being targeted. Be suspicious. Start thinking hard about what they are actually asking for. All employees must be educated in that they should never reveal their passwords. It does not matter who it is to. If a password is asked for, suspicions should be instantly raised to finding out the identity of the requester, as they are obviously malicious or extremely ill-informed. This is often a good candidate to practise reverse social engineering on the requester, finding out as much about the person and what they are after as possible, without raising suspicions that their disguise has been identified. Many social engineering attacks put a focus on a problem that does not exist, but sounds very real. If the pretend problem could stop the victim from getting their work done, that will provide more leverage and more willingness on the part of the target to give up sensitive information that they otherwise would not. Verify that the requester is who they say they are. Ask for all the forms of identification required to satisfy yourself that they are and who they are leading you to believe they are. Then immediately verify that the stated problem exists before going any further. This will usually short circuit the SE. If this is over done, then it is easy to spot, but if it is subtle, it is not. This sort of pretext is much easier to carry out if the attacker is in touch with the targets culture, industry and the other sources of influence that make a person dress, act, speak, behave a certain way. A skilled emulation technique is very hard to diffuse. All a target can really do is be sure they are being emulated, then question it head on. All of these attacks require the “Train -> Monitor -> Test, repeat” cycle to counter. Creating an organisation-wide single point of contact who can process all security-related concerns will help determine when an attack may be in progress, as in most cases, the attacker(s) will be making multiple attempts to pre-load and elicit sensitive information, often from multiple targets. Emphasise that employees should use that single point of contact with even the slightest suspicion. If you took people out of the security equation, there would be no insecurities. People are the source of all of the security issues we face today. So realistically, this is where we need to focus most of our attention. Use education to establish cultures with people who understand the issues, are prepared to, and expect to be targeted, and can and do react appropriately. Phishing typically involves a widely distributed campaign where the conveyed story or sales pitch is aimed at gaining the buy-in of as many people as possible. It is social engineering on a large scale. For example, the details of staff remuneration reviews may be offered in an email, or a voucher for free products may be offered in a download. The success of phishing is the result of exploiting human behaviour: people like rewards (especially if they are free), the feeling of being rewarded weakens a persons judgement, and with weakened judgement a person becomes easier to manipulate. Likewise, should a person be faced with a story or sales pitch that appeals to their values or interests, their judgement will be weakened in a similar manner. The most effective way to teach people about the dangers of phishing, as well as how it can be avoided and why it matters, is to reinforce their judgement by actually testing them. Simulated phishing tests aim to bolster this natural defence mechanism and heighten subconscious awareness, whereas the development of knowledge through training and lecturing does little to nothing to address this. Will a target visit a website based on a link passed to them and enter either personal or business related information? Will a target insert unknown USB media and open files found on the device? Results of the test should be conveyed in a manner that outlines the statistics collected by the test and the potential impact it may have had. A tool such as Pond can help you automate the entire testing process. Whilst the motive behind spear phishing - to establish a social engineering vector that will circumvent the natural defence mechanism of chosen targets - is the same as phishing, it does not involve the use of such a widely distributed campaign. The preparation of a spear phishing attack will involve research of the victim: an individual, an organisation, or a specific department of that organisation. With such a tailored social engineering vector comes a significantly higher chance of success, thus it becomes a more important attack to try and mitigate. Preventing the success of such an attack is done in the same way as with phishing - through actual tests - but the preparation must replicate a spear phishing attack and present content of great relevance to the target(s). Staff need to be aware of who is permitted to be on the premises at any given time. Staff need to be empowered to feel free and be engaged enough to ask anyone they do not recognise, what they are doing, obtain identification, and even confirm with the person that authorised them to be there. In other words, be engaged, educated, alert and empowered. Remember people are both our strongest and weakest links. We can use technology to help, but people will always find a way around technology, and only informed, trained people will be able to stop them. Attackers handing out or leave media lying around somewhere the target will notice, their curiosity will drive them to insert the media themselves. Curiosity in humans is a strong force and, when used by an attacker against a target, a very effective one. It is hard to train people to resist a natural instinct. Remember cases where, as a child, you would do something out of curiosity and the result was pain? Pain is an undeniably effective medium for learning. Until you have actually been bitten, as humans we are likely to keep doing what ever it is that we think will satisfy our curiosity. Some organisations resort to disabling physical ports on their systems. While this is a somewhat effective measure, it can also play a part in crippling productivity in an organisation. Treating your workers well, as discussed in the Morale, Productivity and Engagement Killers section helps in addition to training, but again, you will be fighting this invisible force of curiosity. It is worth actually carrying out tests on your workers at seemingly random intervals and measuring the success of the results, then discussing them with the employee who has failed or passed the test. Provide positive reinforcement to those who do not succumb to the attack, possibly even publicly throughout the organisation, which will also help others learn. These concerns are made smaller by talking about them. Provide constructive criticism and additional training to those who do succumb to the attack. Often, the modern thinking is that we can replace flawed people with technology. People are resilient and dynamic. They can spot a threat they have never seen before and defend against it. Computers can only defend against what they have been programmed to defend against. Technological defences are brittle. It is the role of technology to support humans to make good decisions. Employees can become complacent with training, unless they are faced with very real simulations. Be creative, establish a training baseline for all, and additional training for areas of specialisation and extra trust. As with any type of learning and educating ourselves and peers, this has the potential to increase confidence in one self too much, thus causing blind spots. I see this risk as low and that the benefit of bringing revelation outweighs the possible side effects. There are no negatives to removing morale, productivity and engagement killers. The only risk here is that your workers will become more engaged, work harder, and come up with better ideas. Basically, it’s all positive. You may not deliver what someone initially thought you would. It’s OK, you weren’t going to any way. This means you discover the reality early rather than late while removing naivety, facing reality, and accepting that any given project takes a certain amount of time to complete. The more pressure that’s applied, the greater the loss in quality. Managers may jump up and down and try and make developers work faster. This is futile. The reality I have witnessed when developers manage the creation and modification of their work spaces is simply superior working environments that work for developers, and allow them to produce a higher quality of work, and as quickly as possible. Possible confusion as to which medium should be used for what. Create and agree on the mediums that should be used and make sure everyone involved is in agreement. Do not be scared to try different mediums and use what works best for your team(s). The primary risk here is that developers will achieve more when they are in control of when they leave the zone and go into meetings. I am pretty sure this is what everyone wants. There are staff who are used to interrupting developers whenever a thought comes to mind, and now instead must record their thoughts to bring to the developers when they are ready, ideally in predefined time slots. These people may feel put out and need to make some personal adjustments. By providing developers with the tools needed to maximise their motivation, these developers will become a sought after asset. They will have to be guarded from the temptations of competitors. As per above, your people assets need to be guarded. This all comes back to the same thing: what comes around goes around. Treat your knowledge workers how they expect to be treated. Check the Top Developer Motivators in Order above if unsure what this means. This can take some courage, transparency, and willingness to inspect and adapt. The organisation must be willing to change based on open and honest feedback that is generally readily forth coming from workers leaving an organisation. Some added complexity is introduced here, added complexity provides opportunity for mistakes to occur. Nothing is more unsafe than recording your passwords on paper in plain text or in an unencrypted text file on your computer. There is the risk of over confidence that secrets are now guaranteed to be impenetrable. When it comes to mitigating brute force attacks and relying on multi factor authentication, the countermeasures rely on the implementation being well thought out, or consuming libraries that others have done the same. Nothing substitutes doing your own research. There is the risk that some callers may become annoyed initially until they become used to the heightened security questions and techniques being carried out by call recipients. You can use the additional policy and checks as an opportunity to market your heightened security standpoint as well. There are no risks associated with not relying on Caller ID. There is no real risk in being suspicious and putting the brain to work about what could be going on here. As with the SE trying these attacks on you, there is minimal risk in attempting reverse SE on them to gain as much information about them as possible. I do not see any risks in making sure the requester is who they say they are and that the specified problem exists before complying with any further requests. Some embarrassment is possible for the worker(s) who failed the test. Bear in mind, the failings may be partly, or more due to the lack of or faulty education/training. Learning this way is very memorable though. The mistake is unlikely to be made twice. If the target’s assumptions are incorrect, then they may end up making a fool of themselves. There are few risks with being suspicious and reporting suspicious activities, no matter how insignificant they may seem, unless the person taking the reports is not the right person for the job. Test the person expected to be receiving the reports. Make sure that the manner in which they receive the reports is to a high standard and that the reports are actually followed up on, no matter how busy they are. This is one of those practises that you really need to have scope sign off on before starting the tests. Again, this is an opportunity to educate, train and test to make sure that education has taken effect. Potential embarrassment is a risk. The efforts involved in training and educating are hard to put a cost on. Much of the learning can be done in a persons own time. The key factors here are creating awareness that increasing our knowledge is a need in order to do one’s job effectively while creating the desire to learn. By increasing awareness that the solutions we are creating may not be as secure as we think they are, we often spark the desire to learn how we can boost quality levels. Demonstrating how easy it is to exploit flaws in the solutions we are creating is usually a good motivator to spark the desire to learn more for developers and upper levels of management too. It does not have to be costly to demonstrate weaknesses. Either utilise the security champions within your organisation or an external security consultant to find a collection of vulnerabilities, and demonstrate exploiting them to other developers and upper level management. Costly training is usually not needed. Good developers are self taught once they have the desire. There are usually security focused groups within your community who meet (meet-ups) regularly, such as OWASP as an example. There are plenty of smart developers who are keen to help others understand how they can improve their knowledge. There are also many good books, blogs, podcasts on security topics, most of which are free. Building a smaller thing may mean additional work in managing customer expectations. There are no significant costs involved with providing a decent budget and allowing developers to create their own environment. Any costs incurred will be insignificant to the benefits produced. There may be some costs up front in trying mediums that some people have not used before. There could be a cost in changing some mindsets and the culture of upper level managers to realise that their role is best served as servant leaders. Empower developers to do what they do best and get out of their way. People outside of the development team will need to have their mindset changed. They can no longer interrupt developers on a whim. They need to be educated as to what the costs are to interrupt developers who are in the zone. Self-managing development teams will usually track and record interruptions during Sprints and address them as soon as possible. If developer’s attempts at removing the interruptions fail, escalate to the Scrum Master who will help to guide and empower the Development Team to bring about the necessary changes. If progress is slow, and it’s been addressed during the Sprints, the Retrospective is a good time and place to raise the awareness and make sure change occurs. Cultural change will probably be necessary, this will cost time and intellectual cycles to come up with creative ways to bring about these motivations. I have never seen any place where this effort has been invested in where it did not return at least the expected yield. Nothing new here really, the costs involved with keeping developers morale, productivity and engagement high are mostly around cultural change. The amount of time this may take depends on many human factors. Create a process and make sure it’s followed. There are plenty of resources on the Internet regarding how to create effective exit interviews and maximise their output. You may have to review a collection of password vaults and make an educated decision on which is best for your target purpose. Many are free and open source. Personally, I prefer to be able to inspect how my secrets are being stored than to just trust that someone is taking care of them. There is possible inconvenience in testing and educating workers of the dangers involved. Scripts and check-lists need to be created. Workers will have to become familiar with them and they’ll need to be re-tested. There is just training and testing required here. Training and testing are required here too, plus the cost of engaging the brain, always being suspicious and thinking of ways you could be outsmarted. Verify that the source number is the legitimate number you’re led to believe it is. Not a big deal using the services discussed in the Vishing Countermeasures section. Minimal cost here in engaging the brain and thinking. It is a good idea to test some of these techniques on your workers and see how they respond. In order to be prepared and ready to try reverse SE, some fairly advanced skills will be required, or at least an understanding, healthy suspicion, and a sharp mind. This is one of those exercises that must be tested. Upon failure, some education/training and retesting will be required. There is some cost involved in educating/training, testing and repeating. It will cost some pride if the target gets it wrong. If the target’s assumption is correct, they may just blow an attackers cover. Contacting the organisational security contact for every suspicious event could be costly depending on how large your organisation is and what its assets are. If financially infeasible to have someone performing this role alone, you could look at giving the role to someone who performs another role. Obviously, the person would have to be very knowledgeable, engaged and passionate about security.